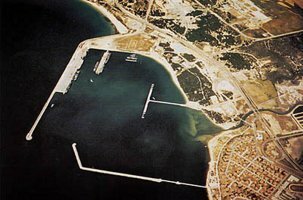 Naval Station Rota, Spain is strategically located near the Straits of Gibraltar and at the halfway point between the United States and Southwest Asia. Because of this ideal location, the base is able to provide invaluable support to both US SIXTH Fleet units in the Mediterranean and to USAF Air Mobility Command units transiting to Germany and Southwest Asia. Naval Station, Rota and its tenant commands are located within the boundaries of the 6,100 acre Spanish 'Base Naval de Rota.' Under the guidance of the Agreement for Defense Cooperation, the US and Spanish navies work together and share many facilities. The US Navy has the responsibility for maintaining the station's infrastructure, including a 670-acre airfield, three active piers, 426 facilities and 806 family housing units. The United States completes 25 September 2015 the deployment of a missile defense system in the Spanish province of Cadiz as part of its NATO ballistic missile campaign in Europe. The last ship in the campaign, the US guided-missile destroyer USS Carney, joined three other Arleigh Burke-class guided missile destroyers currently deployed at the joint US-Spain Naval Station Rota. The three ships currently at the base are the USS Porter, USS Donald Cook and USS Ross. Naval Station Rota provides support for US and NATO ships; supports the safe and efficient movement of US Navy and US Air Force flights and passengers; and provides cargo, fuel, and ammunition to units in the region. The Naval Station is the only base in the Mediterranean capable of supporting Amphibious Readiness Group post-deployment wash-downs. The base port also offers secure, pier side maintenance and backload facilities. Rota supports Amphibious Readiness Group turnovers and hosts Sailors and Marines from visiting afloat units. The base also provides Quality of Life support to Moron Air Base, ARG support sites at Palma de Majorca, NATO headquarters in Madrid and the Military Sealift Command's Maritime Prepositioning Squadron. Rota also supports NASA Space Shuttle missions, and ongoing operations in the European theater of operations. The mission of US Forces at Sigonella, Rota, and Souda Bay is to provide Command Control and Logistics Support to US And NATO Operating Forces. These three facilities are undergoing a transformation from Maritime Patrol Airfields to Multi-role "Hubs" providing crucial air-links for USAF strategic airlift in support of CENTCOM and Africa Area contingency operations. Fleet Air Reconnaissance Squadron (VQ) 2 relocated from Rota, Spain, to Whidbey Island, Wash., effective 01 September 2005. The relocation of VQ-2's six aircraft and 450 Sailors to the United States was in keeping with the Navy's ongoing transformation of forces in Europe, and helped reduce costs and eliminate redundancies throughout its force structure worldwide. 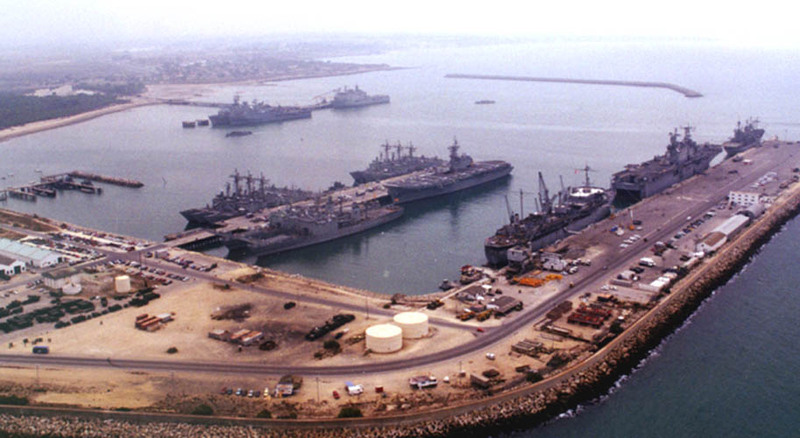 American facilities at the Naval Station, Rota, Spain are wide-ranging and diversified in their primary role of supporting the US SIXTH Fleet operating in the Mediterranean. From its inception in the early 1950s, the Rota Naval Base, located across the bay from Cadiz in southwestern Spain, has developed into one of the most modern, advanced naval installations in the world, which was the precept that guided its design. There are approximately 3,000 US military members, 3,000 command-sponsored family members, 250 US civilian workers and 1,250 Spanish employees on board. After almost two years of surveys, negotiations and planning, the Mutual Defense, Economic Aid and Defense Agreements were signed by the governments of Spain and the United States on September 26, 1953. Construction of the Naval Base at Rota had already begun under the technical supervision of the Navy's Bureau of Yards and Docks. 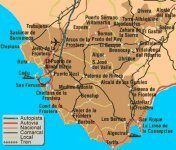 The installation now covers more than 6,000 acres on the northern shore of Cadiz, an area recognized for its strategic, maritime importance over the centuries. The base is used jointly by Spain and the United States. It remains under the Spanish flag and is commanded by a Spanish Vice Admiral. While the Spanish Navy is responsible for external security of the base, both Navies are charged with internal security. The US Navy maintains approximately 5,200 acres of the 6,000-acre complex. There are about 8,000 Americans in Rota, including military, civilians, and their families. The Commander, US Naval Activities, Spain is headquartered at Rota and is the area coordinator for all US Naval shore activities in Spain. His responsibilities include the planning, development, evaluation and coordination for services provided by these units in support of operating forces afloat. He is also the Commanding Officer of Naval Station, Rota. In this capacity, he maintains and coordinates the overall security, upkeep and support features which ensure smooth operation of the installation. 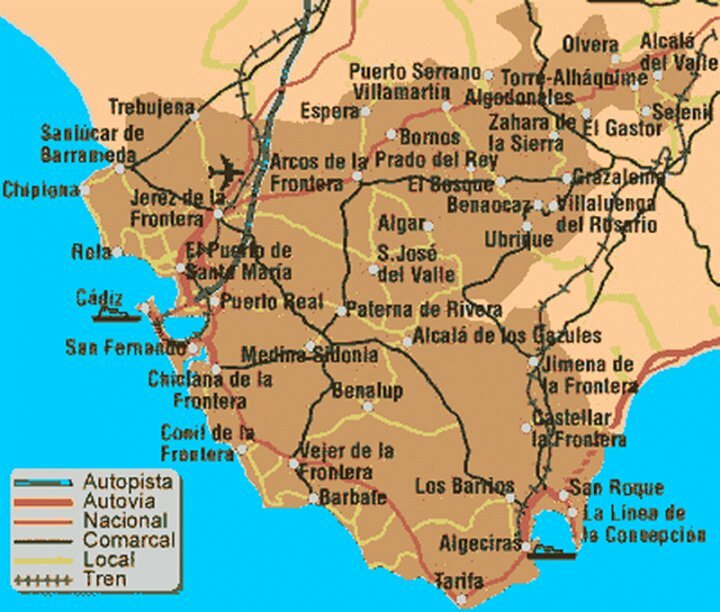 The Port of Rota is located southeast of the Gulf of Cadiz on the southwestern coast of Spain, about 55 nmi northwest of the Strait of Gibraltar. 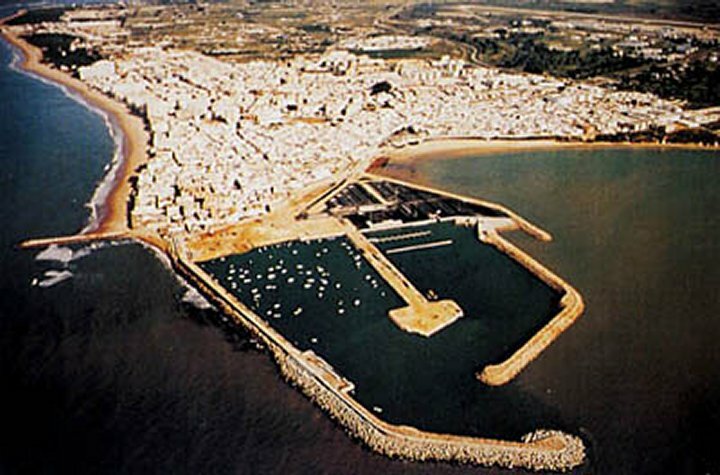 The port is situated on the northern shore of the Bay of Cadiz about 6 nmi north-northwest of the City and Port of Cadiz. The Port of Rota is a large deep harbor that can accommodate deep draft vessels even at mean low water. Carriers could be berthed at Pier 1 but movement would be restricted to times near high tide, current SOP is for carriers to anchor out. The harbor is well protected from wave action from the west, south and east by breakwaters and by the shore to the north. However, there is little protection from the wind, especially from the south and west. The harbor entrance is over 300 yards wide and opens to the south. 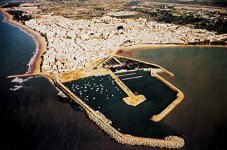 Approach to the Bay of Cadiz is best from the west and southwest, turning on the harbor range approximately .2 nmi from the breakwater. Minimum depths near turning point are about 46 ft and decrease to about 36 ft at entrance. There is no specified channel approaching the harbor entrance. The harbor can house numerous ships and provides ample turning space in the center harbor basin. All vessels except small vessels must have tug assistance when berthing. The limited number of USN tugs restricts berthing action to one ship at a time. Pilotage is compulsory, pilots board just outside the west breakwater. A large anchorage area with designated anchorages is located in a general southeastward direction from the breakwater. Distance to anchorages varies between 2000 and 7000 yards. A smaller anchorage area is located to the south and southwest of the light at distances of 500 to 730 yards. The harbor is well protected from wave action but provides little protection from winds, especially those from the south or west. Vessels with large sail areas require tug assistance to be held against Pier 1 during strong west wind events. Strong southeast (Levante) winds tend to pin ships to the main pier (Pier 1). One recorded incident reports a tender being forced to remain at berth for 3 days during a strong Levante (40 kts). The anchorages are fully exposed to open ocean waves with only shoaling effects to dampen deep water sea or swell. Wave heights at anchorages run 70 to 90% of deep water wave heights when waves are from the south clockwise through west-northwest. Positioning anywhere inside the breakwaters provides protection from wave action. The harbor offers minimal protection from the major wind related problems. Exposure to wind and waves is essentially equal throughout the anchorage area. The port directory for Rota states that the average tidal range during spring tides is 9.5 ft with a maximum of 11.5 ft. The overall range is stated as 7.1 ft. Tidal currents can be as high as 1.5 kts during ebb tide with a west set. Note that deep draft vessel harbor entry/departure is limited to times near high tide. Reported minimum alongside depths at low-water are: Pier 1, 42.5 ft, and Fuel Pier 40 ft with 36 ft approach limits. In winter, near zero visibility in dense fog may last until mid-day following frontal passage. In summer, on occasion, fog and low stratus develop after a couple of days of strong Levante winds. Although rare, low stratus and dense fog associated with a Gulf of Cadiz eddy may last for several days one established. Hazardous weather conditions are rare during the spring. Frontal activity decreases in frequency and intensity. Maximum sustained winds over water are likely to be in the 30 to 35 kt range. Levante winds are the only hazardous conditions of recurring threat in the Rota area. Locally the winds are southerly and gusty. On average, gale force events will occur a couple of times each year. Weaker events are common a couple of times each month. Levantes typically last for only a day, but strong events have been known to last for eight days. Maximum wind speeds occur in the afternoons. Levante winds typically drop off at night. Winds of moderate gale force are the primary threat. Fetch length to the southeast is limited to 6 nmi. Maximum wave heights expected are 4-6 ft. Small boat operations are likely to be curtailed. Vessels with large sail areas are likely to be pinned against Pier 1. Levante events are associated with high pressure and strong low level inversions are common. Strong low level wind shear accompanies the inversion and can be a threat to low level flight. Anomalous radar and radio propagation is likely. Helicopters may lose radio contact at a few miles range. The winter frontal passage pattern is usually well established by the end of October. Normally, once the first frontal passage is experienced, the winter pattern is in control and the winter frequency of frontal passage is quickly established. Winter type wind, wave, visibility, thunderstorm and precipitation characteristics are also quickly established. Hazardous weather and high seas associated with frontal passages are the primary winter season problem. Frontal passages are frequent as indicated by the average 12 days of rain per month. The predominant air mass is maritime polar. The intensity and speed of movement of frontal systems varies in response to the eastern Atlantic ridge configuration and polar front jet stream strength. The most prolonged and severe weather generally occurs when a cut-off low develops to the southwest of Rota. This is typically associated with an Omega type blocking pattern. The average winter wind at the airfield is east at 7 kt. However, severe weather will be associated with westerly winds. Over the water sustained westerly winds of 40 to 50 kts will be experienced during passage of strong frontal systems during all months of winter. The westerly winds associated with frontal passages will push vessels off Pier 1; tug assistance may be required to hold positions. Heavy swell will enter the area when west to southwest winds prevail. Early morning thunderstorm activity over water will occur during the time between passage of the surface front and that of the 500 mb trough. With slow moving systems thunderstorm activity may occur for 2 to 3 days running. The base remains under the Spanish flag and is commanded by a Spanish Vice Admiral. While the Spanish Navy is responsible for external security of the base, both Navies are charged with internal security. The Commander, US Naval Activities, Spain is headquartered at Rota and is the area coordinator for all US Naval shore activities in Spain. Responsibilities include the planning, development, evaluation and coordination for services provided by these units in support of operating forces afloat. 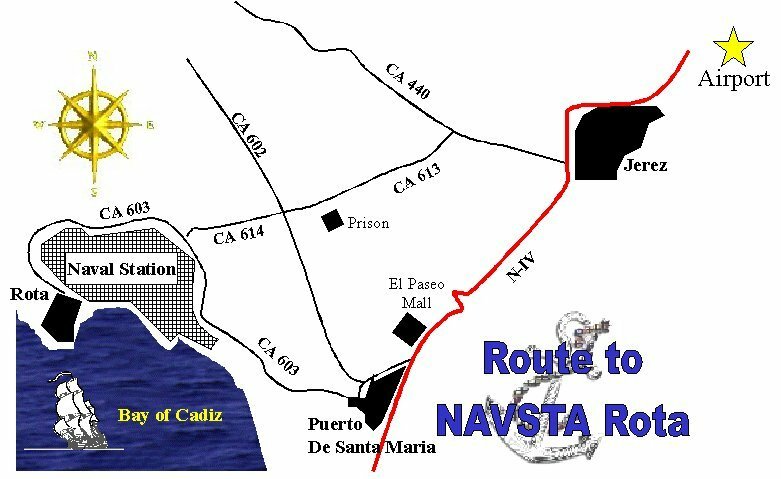 Naval Station Rota maintains and coordinates the overall security, upkeep and support features which ensure smooth operation of the installation. During summer the diurnal variation of the land/sea breeze may be a factor in scheduling. The typical daily regime is the onset of sea breeze by late morning with maximum onshore winds of 10 to 15 kts by mid afternoon and dropping off after sunset occurs. Levante wind speeds follow a similar diurnal pattern, however, over water strong events are likely to persist through the night. During winter the synoptic variations are of greater importance in scheduling. Frontal activity is quite frequent with about 40% of the days experiencing some form of unsettled weather. The Chief of Naval Operations deployed Submarine Squadron 16 to Rota, Spain, on Jan. 28, 1964, and embarked upon USS Proteus (AS-19). USS Lafayette (SSBN 616) completed its first FBM deterrent patrol with the Polaris missile and commenced the first refit and replenishment at Rota. During the early 1970s, the submarines assigned to Squadron 16 were completing conversion to the Poseidon missile. That transition was completed when USS Francis Scott Key (SSBN 657) returned to Rota on Jan. 14, 1974. 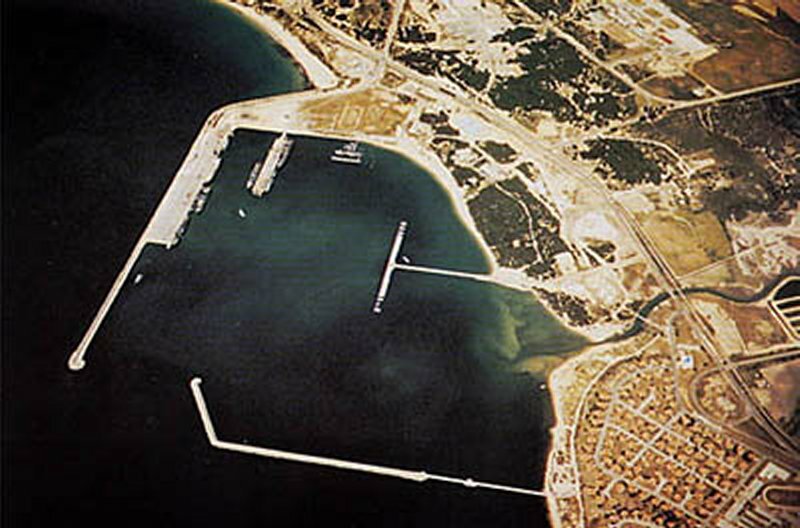 Treaty negotiations between Spain and the United States in 1975 resulted in a planned withdrawal of Squadron 16 from Spain, and the Chief of Naval Operations ordered studies to select a new refit site on the East Coast. The treaty with Spain was ratified by the US Congress in June 1976 and called for the withdrawal of the squadron from Spain by July 1979. Kings Bay, Georgia, was selected as that new refit site, and the site selected was announced by the Secretary of the Navy in November 1976. After 30 years as guardians of the gateway to the Mediterranean, the gatekeepers of Tactical Support Center (TSC) Rota stand relieved as of July 1999. Established in 1969, TSC Rota's location near the strategically vital Strait of Gibraltar made it the point man of Sixth Fleet's Mediterranean patrol. As Soviet surface and subsurface naval deployments to the area steadily increased throughout the 1970s and early 1980s, TSC Rota operations specialists provided the mission planning and support that enabled maritime patrol aircraft to conduct continuous surveillance and tracking of Soviet ships and submarines before, during, and after their transit through the Strait. Data from these missions, analyzed by aviation systems warfare operators at TSC Rota, was then forwarded to Sixth Fleet commanders, providing them with critical intelligence regarding Soviet naval vessel's acoustic signatures, operating characteristics, and warfighting capabilities. TSC Rota personnel's crucial role as guardians and protectors of Sixth Fleet's front door earned them the moniker "Gatekeepers of the Med." With the collapse of the Soviet Union, TSC Rota's focus shifted to adapt to the evolving missions of Sixth Fleet. The unit became the focal point for the integration of Spanish naval forces into NATO, and it participated in numerous yearly exercises aimed at strengthening that relationship. Although a permanent unit has been deemed no longer necessary, nor cost effective, Sixth Fleet will still maintain area presence in the form of a Mobile Operations Control Center (MOCC). The MOCC, based in Sigonella, Sicily, can quickly deploy to Naval Station Rota to provide all the command-and-control functions of a permanent TSC. 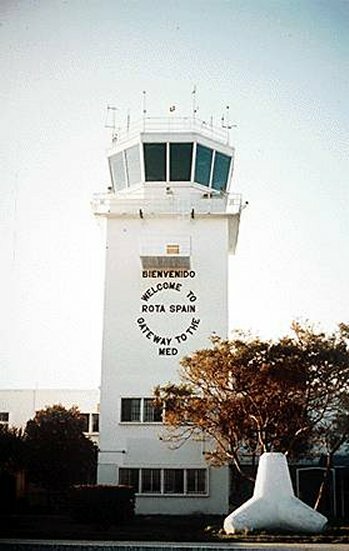 Naval Station (NAVSTA) Rota is home to a state-of-the-art Standard Terminal Automation Replacement System (STARS) air radar, the first such system used overseas in the Defense Department. The new radar system replaced an aging analog system that used 1960s technology. The Federal Aviation Administration Flight Check was completed July 15, 2004, certifying the system for use after nearly four years of planning, installation and testing. The STARS radar allows the facility to simulate air traffic for training purposes whereas personel using the old system had to rely on actual flights. With built-in software, the digital STARS allows controllers the ability to simulate any number of inbound and outbound air traffic, and the target simulators perform with the same type of climb, descent and turn rates, with approach speeds of the actual type of aircraft it is simulating. This simulator has the ability to run a 200-aircraft training scenario with any type of military or civilian aircraft. The automated new system is not just a new radar screen and computer. The upgrade comes with new radar, refurbishing of the air tower, a new radar control facility, and a new communications suite and radios. The upgrade is part of the $75 million en route project that will expand the parking apron for wide-body aircraft and many more airfield improvements. As of August 2004, the STARS radar was being used in only four other locations: in Norfolk, Va., Camp Pendelton, Calif., Patuxent River, Md., and Willow Grove, Pa.